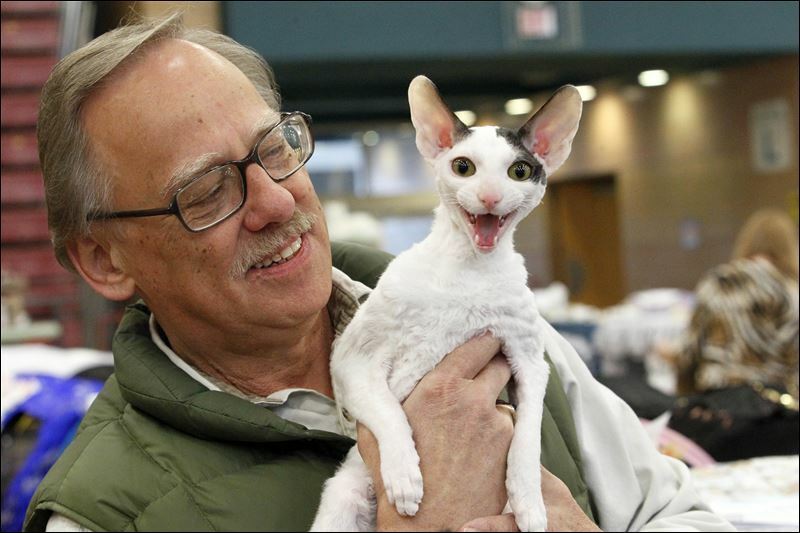 Little explanation is required as to why the Cornish Rex is classified as an ‘unusual breed’. Most cats have three different layers to their coats. The outer fur, or guard hairs, the middle layer of awn hair and the undercoat. 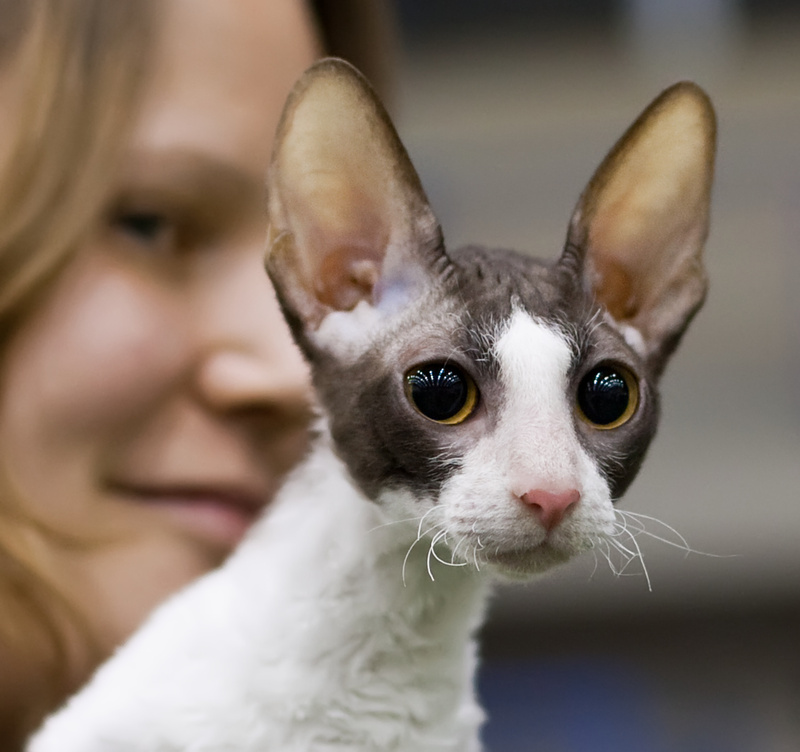 Through a unique mutation, the Cornish Rex has only the fine hairs of the downy undercoat. 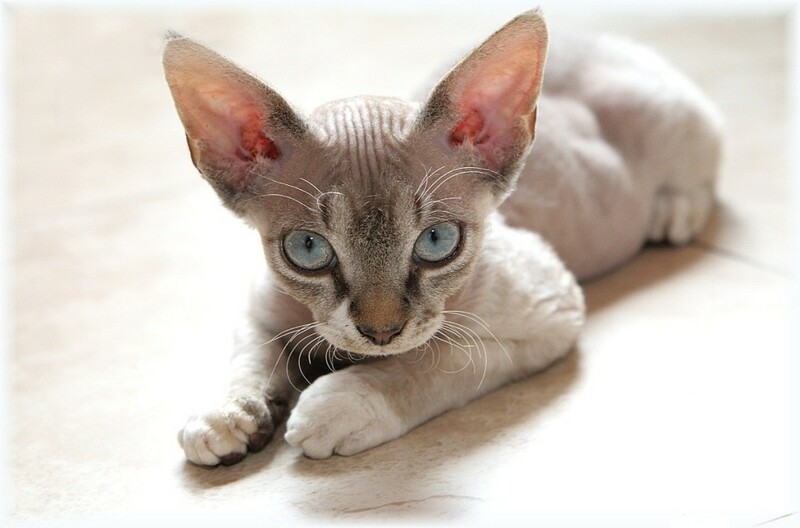 Their extremely fine and sometimes curly fur is considered the softest of any cat breed. The breed came into being with a litter of kittens born on July 21, 1950 to a tortoiseshell farm-cat called Serena in Bodmin Moor, Cornwall. A red-and-cream-coloured male stood out at once from his siblings with his fine and curly coat. He was named ‘Kallibunker’ and upon the recommendation of the geneticist A. C. Jude to their owner Mrs. Ennismore he was backcrossed to his mother to produce two other downy-furred kittens. These cats became the foundation of the breed. Overtime, blood was added from Siamese, Russian Blue, American Shorthair, British Shorthair and Havana Brown breeds to add genetic diversity. Life Magazine published at article in 1956 that focused worldwide attention on the new breed and ensured its survival. Cornish Rexes are famed for their enthusiastic and highly sociable personalities. They are the ‘clowns’ of the cat world, known for being intelligent, acrobatic and kittenish throughout all their adult lives. They enjoy playing fetch and are known for throwing toys with their paws to chase when there is no one around to play with them. They are known to be affable towards other animals and cats. They are an excellent choice for children, as they are friendly as well as delicate and gentle. They are not a good idea to bring into families that work long hours however, as they require a great deal of companionship and attention. Due to their coats, Cornish Rexes are also best suited to indoor living, as they may easily get hypothermia if left outside during colder weather. 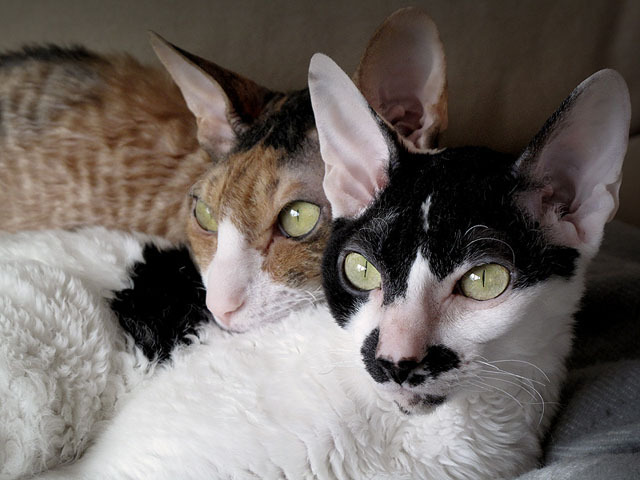 Inexplicably, the Cornish Rex’s body temperature is naturally higher than that of other cats. The word ‘Rex’ in the breed’s name is a term used to describe animals with unusual or curly fur. Its origin rests with King Albert I of Belgium (1875-1934) who entered some of his rabbits in a show. Having strange, curly-hair, the rabbits, much to the show officials distress, did not meet any breed standards. In order to avoid offending the king, they decided to accept them and wrote ‘Rex’, which is Latin for ‘king’ beside their names. 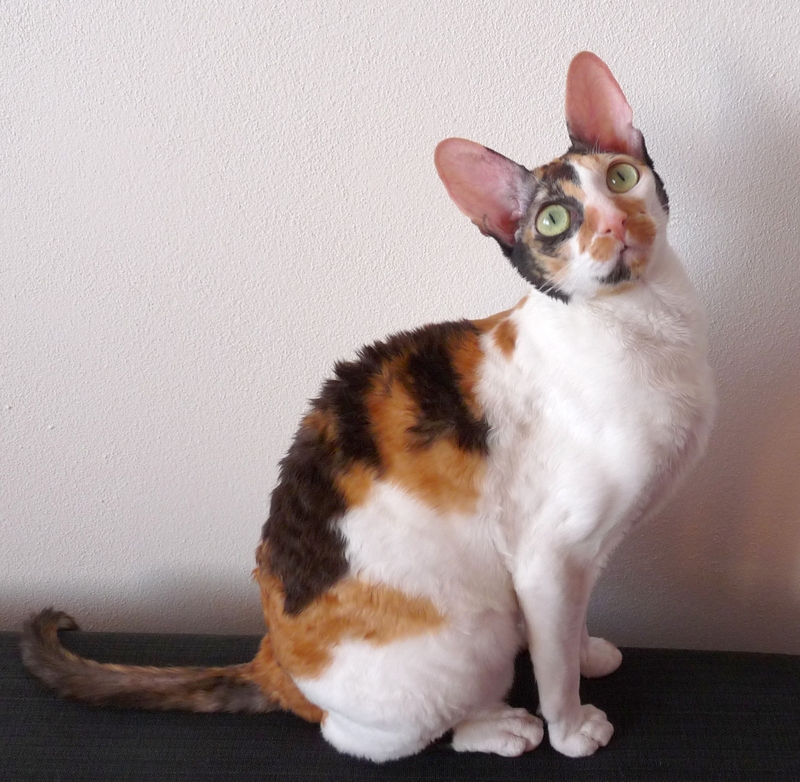 It is sometimes mistakenly believed the Cornish Rex’s unusual coat makes in hypo-allergenic. This is untrue, as allergies to cats are not as a result of cat fur and its qualities, but a glycol-protein produced by feline sebaceous glands that are present in the skin and saliva. When cats groom themselves, they distribute this protein on their fur, which sufferers breath in. 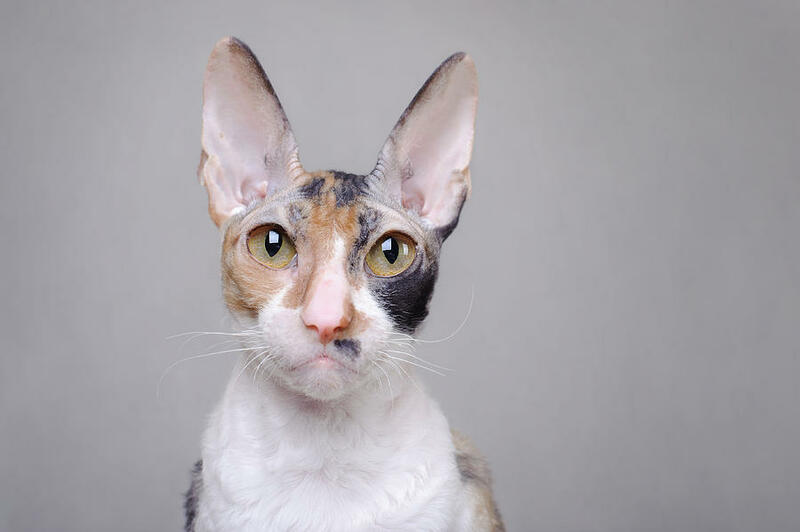 Since Cornish Rex’s groom themselves as much as other varieties of cat, they are just as able to produce reactions in the sensitive. However, since Cornish Rexes shed less than other cats due to the fact they only have a small amount of fur to begin with, they deposit less protein-laced hair around the house, which can make aggravation less for allergy sufferers. They can also be easily washed, which has been proven to reduce the amount of protein coating cat hair.